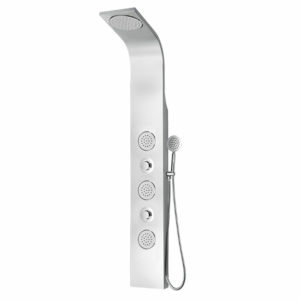 The Waimea ShowerSpa is sure to make waves with the all metal, brushed stainless steel construction. 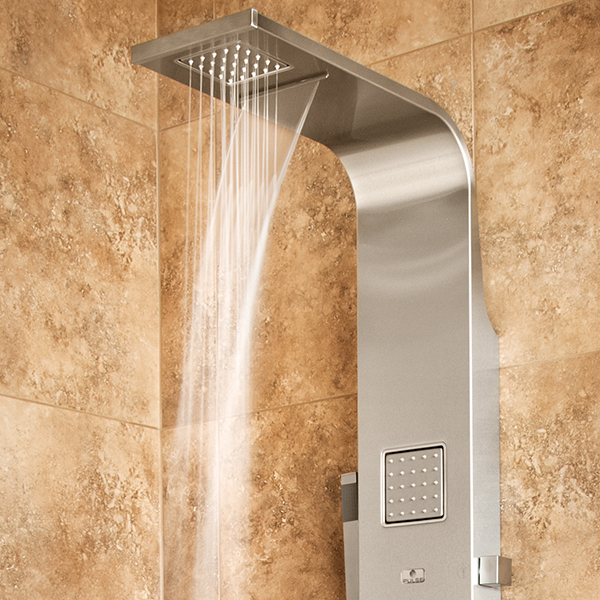 Wash your worries away with a unique cascading waterfall shower head, a 6″ rain style shower head, oversized body jets or powerful hand shower. Color Options: Brushed Stainless This product cannot be shipped to CA, CO and New York City, NY due to their 2.0 gallons per minute flow restriction. 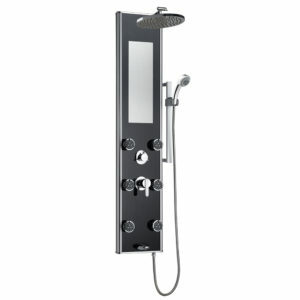 Transform your shower experience with the beautiful Barcelona ShowerSpa! Color Options: White Venetian Glass This product cannot be shipped to CA, CO and New York City, NY due to their 2.0 gallons per minute flow restriction. 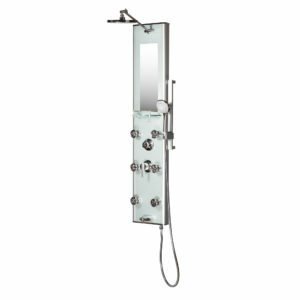 The Moana ShowerSpa all metal brushed stainless steel construction. 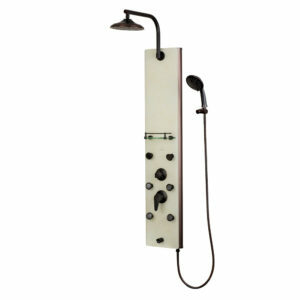 6" rain style shower head, oversized body jets and powerful hand shower. 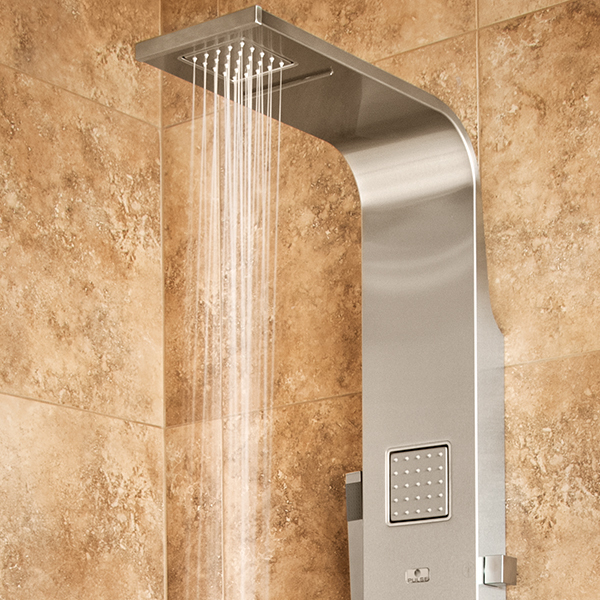 Color Options: Stainless Steel Brushed This product cannot be shipped to CA, CO and New York City, NY due to their 2.0 gallons per minute flow restriction. 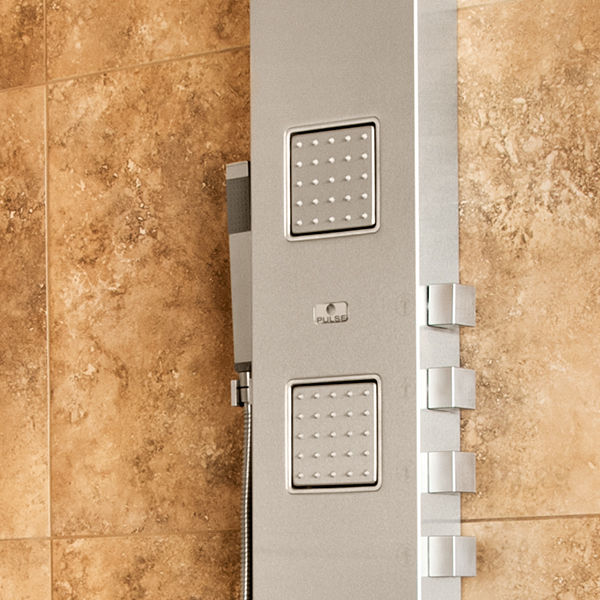 The Kihei II ShowerSpa boldly transforms any shower! 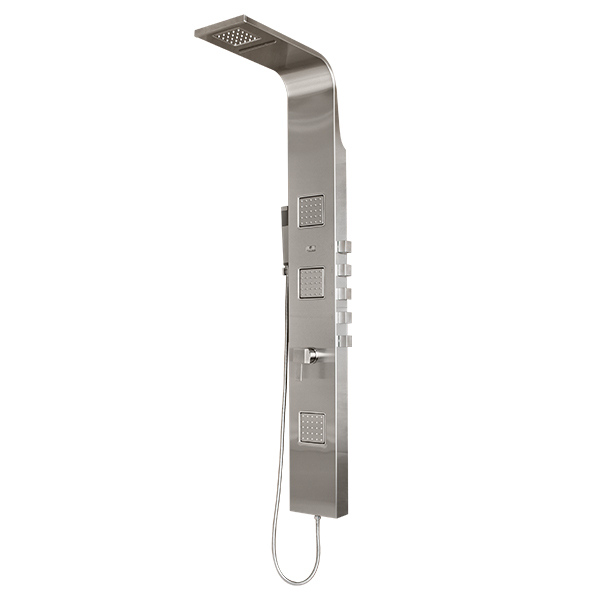 Enjoy the relaxing rain shower head, adjustable height brass shower arm, up to six PowerSpray body jets, five-function hand shower and brass tub spout. Color Options: Silver This product cannot be shipped to CA, CO and New York City, NY due to their 2.0 gallons per minute flow restriction.